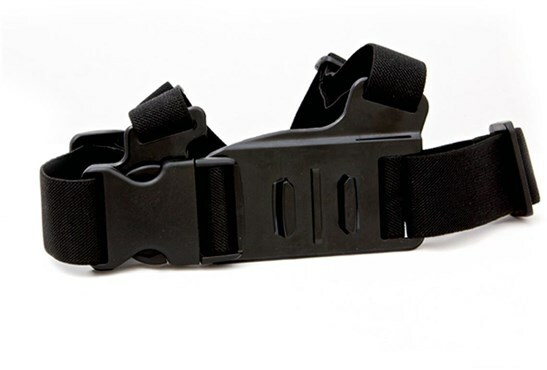 The Olfi chest harness is the most popular mounting option for the all-around user, by a mile. Use the J clip (included with the camera) to mount this to your chest for the ultimate unobtrusive mounting position. Suitable for pretty much everything you can think of, the chest harness creates a truly immersive experience for the viewer. It’s versatile, allows you to angle your camera with precision and as your chest is a very steady part of your body, reduces the natural shake normally associated with holding your camera. When you mount your camera on your chest, you are bringing the viewer into your video and allow them a greater insight into your experiences by capturing your arms, knees, poles, skis and handlebars. Combine this with one of your Olfi’s super wide 4:3 video modes and you’ll capture more of your arms and feet in the shot for a truly immersive experience. Put it on your child and see the world from their perspective. Perfect all round accessory – Must have buy!